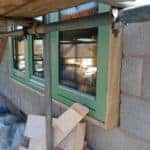 ‘Fabric first’ deep retrofit of 1960s home in Bristol, using Green Building Store’s PERFORMANCE windows and doors plus MVHR system and design. The Cropthorne Autonomous House is an ambitious and inspiring low energy building project, with a space heating requirement of just 5 kWh/m²/yr. 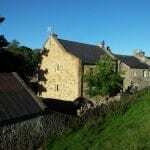 Green Building Store designed and supplied the MVHR heat recovery ventilation system for the project. 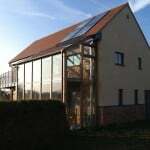 Selfbuild project designed using passive house principles and built within the planning restrictions of an AONB. 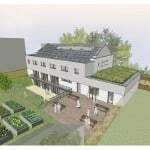 Green Building Store’s PERFORMANCE windows, MVHR system and airtightness products were specified. 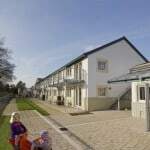 Green Building Store MVHR systems & water saving sanitaryware were specified for the award-winning 41 unit Lancaster Cohousing development. 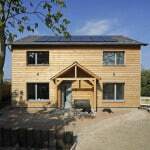 Winner of the ‘Small Projects: UK Passivhaus Awards 2015’. Green Building Store’s triple glazed timber windows/ doors and MVHR system were specified for the project. Whole house retrofit of 1950s detached house in Nottingham using Green Building Store windows, MVHR systems and airtightness products. 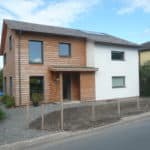 Case study of Herefordshire newbuild Passivhaus, featuring Green Building Store water saving products and MVHR system. 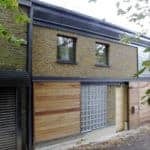 Case study on newbuild London mews Passivhaus with MVHR ventilation system designed and supplied by Green Building Store. 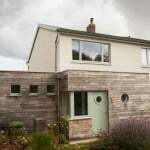 Green Building Store MVHR system specified for pioneering Passivhaus retrofit project – the first certified Passivhaus non-domestic retrofit in the UK.